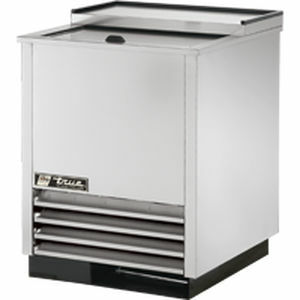 Trues glass and plate chiller/frosters are designed with enduring quality and value. Our commitment to using the highest quality materials and oversized refrigeration assures colder product temperatures and years of trouble free service. Large storage capacity to meet the supply and demand requirements during peak hours. Oversized, factory balanced, refrigeration system holds 0°F (-17.7°C) and below. Forced-air cooling, positively guided airflow provide efficient balanced temperatures throughout the cabinet. This unique design ensures fast frosting of dry glasses and plates. Exterior - all stainless steel countertop, lid(s), front and sides. Matching aluminum back.